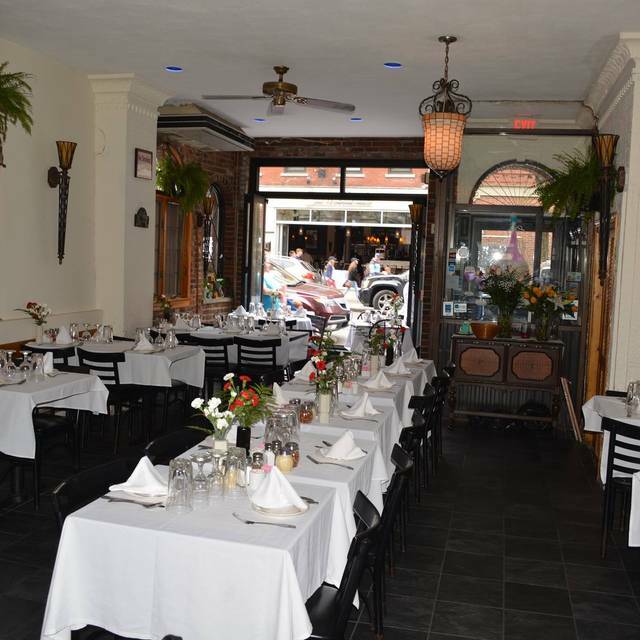 Welcome to Bella Vista Restaurant located in the historic north end of boston! We are a family owned and operated restaurant for over 30 years. Come in for lunch or dinner and feel at home with our old school family style cooking. With our big portions and affordable pricing you will never leave hungry. Fabulous food and loved meeting Tony and his Mom. I would definitely recommend going here for dinner in the North End!!!! Service, food and ambiance all top notch! Best spot in the north end, amazing food, great prices, and the very best staff! Wonderful food. Great owner provides great service and conversation! Terrific value for Boston’s North End! Good authentic Italian! Thanks for a great meal! Love it here. I have been able to visit many times and had something delicious each time. Attentive staff and reasonable prices make Bella Vista a “go to” each time I am in Boston. The spaghetti Carbonara is especially delicious. This place is absolutely amazing! We came for my birthday and every thing was perfect. The food was delicious, the service was outstanding! The proprietor Lucia Pezzano made us feel right at home. This will definitely be a place of repeat business for all of us. If you are looking for a real Italian meal in Boston, this is the place to go! This was a first visit to Bella Vista and it will not be our last. Can't say anything bad about this place. We went to Bella Vista on recommendation from a friend. GREAT choice! We made reservations and would recommend doing that. Small place but that helps make it great. Food was incredible. You can tell it's not cooked beforehand. Fresh and great tasting. Had the house white zinfandel and it was very good. Highly recommend. The best homemade bread I've ever had. The lasagna is amazing. Ravioli is so delicious. Atmosphere was romantic, but also great for business lunches or dinner with friends. Will definitely go there again. Greatest home style meal in the North End. Absolutely wonderful. We had our first date here 2.5 years ago and celebrated our engagement last Saturday! Very friendly and accommodating staff. Food was good; had the chicken parm, and it was everything it was supposed to be. Exactly what I was looking for in the North End. The service was wonderful, and the owner made sure we were well taken care of. The food was good, but I was disappointed that they did not have fresh grated Parmesan. The shaky cheese container on the table seemed, well...cheesy. Hand-grated cheese would have added a nice touch. Awesome food! Great find for foodies. My boyfriend and I loved the meal. I brought home leftovers and enjoyed it just as much the second day. I wish I could buy their sauce! We wandered into Bella Vista for brunch a few months ago and never looked back. It's become our go to spot in the North End when we have guests, or want a nice dinner out. Everything on the menu is made fresh and is delicious, I've never had something I didn't like. Portions are also generous but not obscene. Non-pasta entrees generally come with vegetables, potatoes, and a side bowl of pasta. The wine and desserts are limited, but honestly it's all about the main meal. This is a place to sit back and enjoy your meal and company. It's small, expect to be in close quarters with the other tables, but the noise level is nonetheless low. Service is usually pretty laid back, don't expect to be checked in on every 20 minutes but it's a small place so you can catch their eye if you need to. Great Food, Great Ambiance! My favorite in the North End! Family went before the Celtics game, great owners, great food. Love going there! Will be back soon! Best atmosphere in the North End. 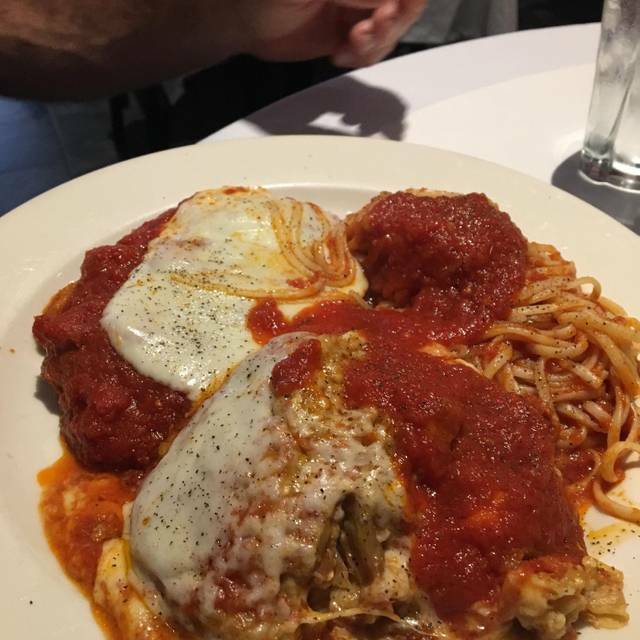 The Eggplant Parm was the best I’ve had since coming back from Italy. Great food, great family atmosphere and wonderful staff. My wife & I make this a REQUIRED VISIT every time we come to Boston. Tony & his mom treat you like you’re one of the family. I can’t say enough great things about this place. A family owned and operated piece of history within Boston historical North End. A must go to if you are in the area and enjoy food made with passion and generations of perfection. Food was delicious but as other people have already stated the service was strange. Rude hostess and the servers were beyond confused. They kept bringing the wrong dish to our table, the same dish, over and over again. We could see them arguing across the way that it was for our table, but finally they realizes we didn't order it. It belonged to another table. Again, food was good, but service was weird and in a place like the North End where there are SO many other options for good Italian food, why would you go to a place with uncomfortable service. After reading reviews about a rude woman who worked there I had hoped this problem would have been taken care of but apparently it wasn’t. My parents arrived for an anniversary dinner and were so poorly treated that they would never go back. They called to say they were running behind and after arriving only three minutes after their appointment they were rudely told their table had given away and “too bad.” As a food blogger and frequent north end visitor I will be sure to spread the word on how their staff treats customers. Great service great food. Got us in an out to make our show on time. That waitress that folks on both Open Table and Yelp have said ruins the experience? She's still there. Absolutely miserable and makes me want to offer her mental health services...it's that bad. Avoid. The owner and bus boys were fabulous and the food is good, but all it takes is someone that terrible miserable and I'll never set foot in some place again. Good service is hard to find, but this wasn't even the usual bad, it had me concerned for her overall mental state bad! Exactly what we were looking for in a romantic Italian Restaurant in Boston’s North End. Food is amazing! I had the veal piccata, which was the best piccata I'd ever had. It is generally quieter and less crowded than many other North End restaurants, and unlike some others, they don't rush you to free up the table. Restaurant is small and very nicely decorated for Christmas. That was the really the only positive. Food was average and overpriced. (23.00 for spaghetti, 1 link of sausage and 2 dry meatballs) sauce was good but sausage tasted like the freezer. Not at all what you expect in the north end. This business is family run and it felt like the family wasn’t really having a good time. No smiles anywhere. Overall it was not a pleasant experience and I will not be going back. A local gem. Great location right in the middle of Hanover Street in the North end Boston. Small and Intimate. Very good food cooked to order. Staff were friendly and attentive. I will be back. Fresh loaves of bread were definitely the highlight of the dinner experience. While the bread was outstanding the food did not quite meet the standard of the average North End restaurant. It was good but not great. The dish we thought would be the best—chicken parm was the least impressive. It was small, the cheese was skimpy and the marinara was a little bland. The environment and service was also not to the typical North End standard. All in all we did enjoy ourselves but it was less about the food and more about the company. Great food and great service. All six loved our meals. We will be back! Enjoyed our authentic Italian meal. Service was excellent. Would recommend a stop in any time in North Boston! Great spot for good Italian food without the typical North End price tag. The atmosphere was lacking but the food and device were great. Would go again, because great value for the price. Very nice. Great people, like coming home. Best chicken Marsala in a long time. The food was FANTASTIC. I finished my entire meal in minutes and used the bread to soak up all the sauces! The servers were very nice, but a bit slow. Also, for an Italian restaurant the wine selection was very limited. I would definitely do again, but for a more casual night rather than a date!